How long has each deal been stuck at each stage? What needs to be done to move each deal forward to the next stage? To measure the above criterion effectively, your sales leadership must set up your CRM system and dashboards with all the above metrics and triggers. 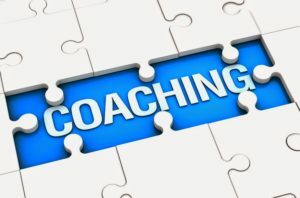 Sales coaching sessions must be about support and guidance to help your sales team members to move deals through the various stages in their sales funnels. They can never be feedback or enquiry sessions, designed to find out what is going on. In other words, sales leaders must create a feedback system that supports them to effectively measure all the above criterion in real time. They need to have a crystal-clear understanding around all the crucial metrics described above and utilise this to prepare for every coaching session. During each sales coaching session, a well-prepared leader does not waste time on enquiry. They know exactly what is going on and where the sticking points are. Their role during each sales coaching session is all about highlighting sticking points and offering guidance around how to increase the velocity of deals through each sales person’s sales funnel. Each sales pipeline or predictable sales process is different. To help you understand how to uncover exactly how many opportunities each sales person, in your organisation, needs in their sales pipeline and how to increase the velocity of each deal. If most of, a sales team members deals are stuck at a specific stage, then the coaching they need is obvious. They need coaching support to help them to overcome whatever is holding things up at that stage. Example: If 60 % of deals are at proposal stage and the rest are spread across the other stages, that specific sales team member needs training on follow-through techniques to support them to more effectively engage with their future customers. Keep an eye on how many qualified leads actually flow through the sales funnel. 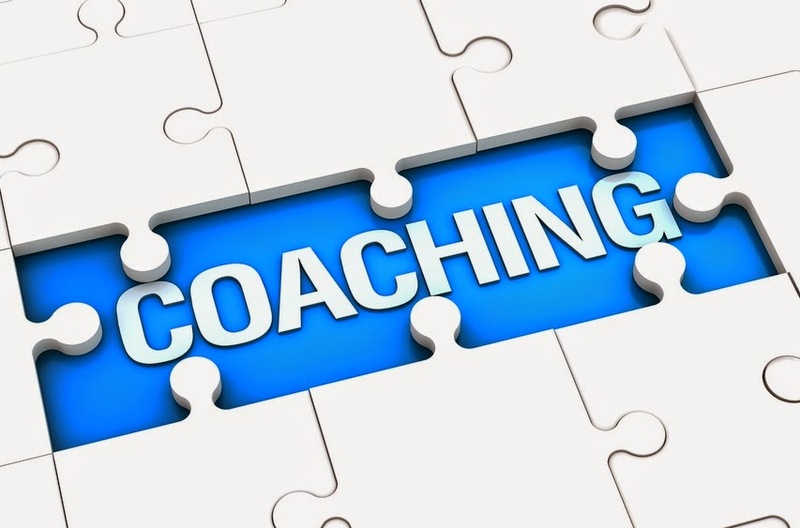 So, called qualified leads, which get stuck at the create awareness stage means that specific sales person may need coaching to support them to better qualify their prospects. Another metric to observe closely, is the time taken to move from “Present Proposal” stage to the “Engaging Phase”. If your sales team is getting bogged down here, it is a sign that they are not arranging a follow-through meeting before leaving the “Present Proposal” meeting. It is crucial to keep the time frame between the “Present Proposal” stage and the “Engaging” stage as short as possible. How will they know how your pricing model works and how it will support them? How you propose to integrate into their business and become an additional resource to them? Another metric, which is crucial is the velocity of each opportunity through each sales team members sales funnel. Know what the average is for an opportunity to sit at each stage and put controls in place to identify any opportunities, which take longer than expected to move from one stage to the next. Every opportunity at every stage must have a future task that will be performed. There must be a deadline in place for when this task will be performed. 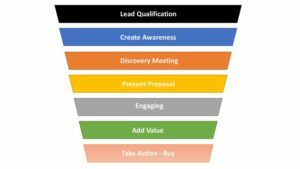 How often should a sales leader review each sales funnel? Once you have created a system or dashboard, which helps you to measure the above metrics in a real time fashion. It is essential that you engage each sales team member at least once a week, to coach and support them to move opportunities through their sales funnel. Deals, which seem to fly through the sales pipeline. 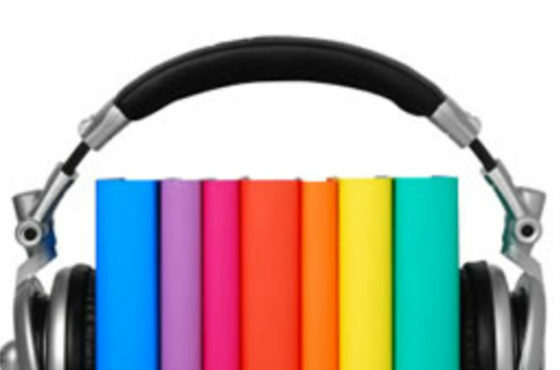 These serve as learning opportunities. What helped the deal move more quickly? I believe that sales coaching sessions should be conducted on a Friday afternoon. This gives your team the opportunity to be prepared for a powerful week. As you interpret the metrics as described above on a weekly basis and you offer your sales team members the individual coaching they need. You will improve the velocity of all the deals through each sales pipeline and you will have a far clearer idea about, which deals have a strong likelihood of being closed. When a sales leader tracks the above metrics, they equip themselves to be both an effective coach to their team and they have a far clearer idea around what is going on in your sales teams. This approach will at first seem like a lot of work, but once you have built your systems, it will become easier and easier. From a sales leader’s perspective, having all the crucial metrics available in one place in real time is crucial.